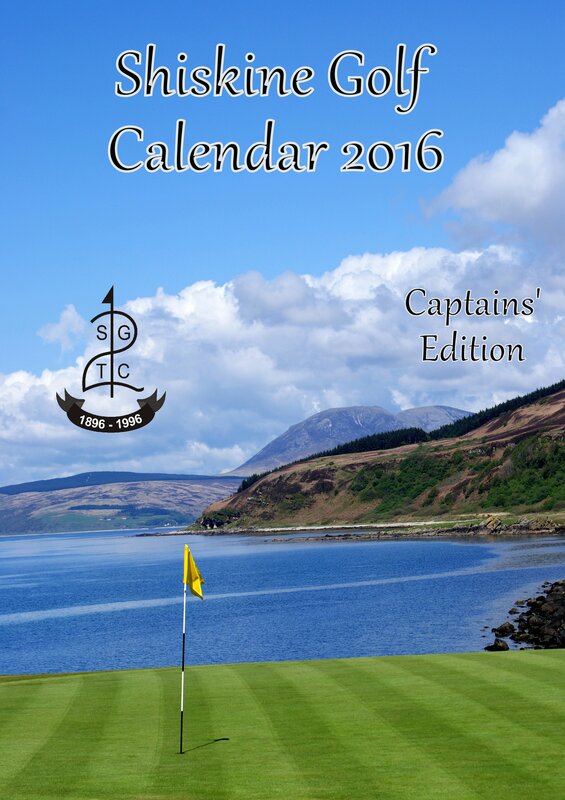 Front cover for the 2016 Shiskine Calendar. 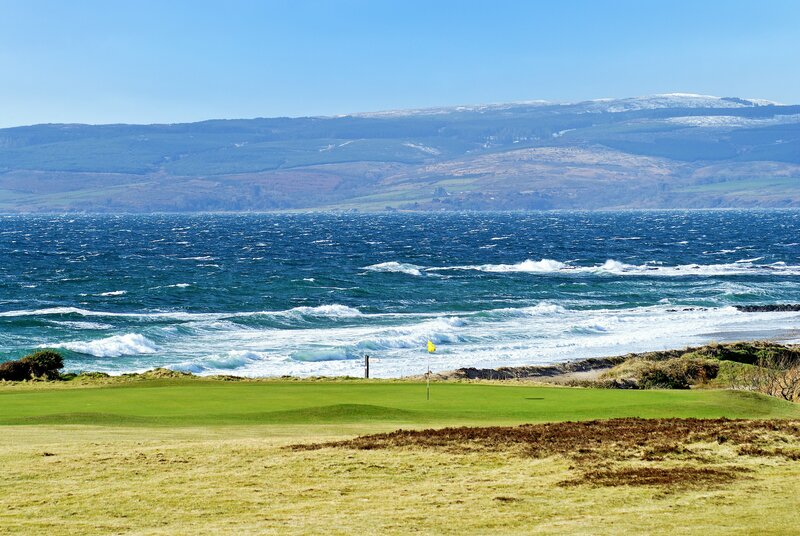 January - stormy sea behind the 1st green @ Shiskine GTC. 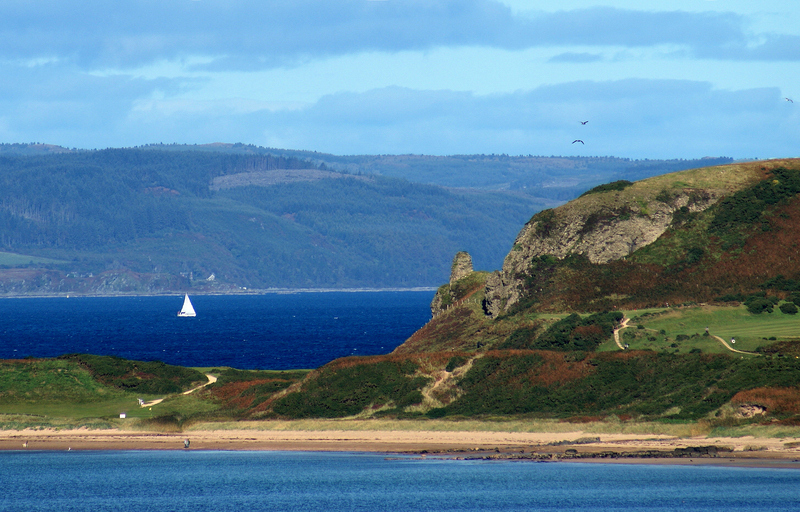 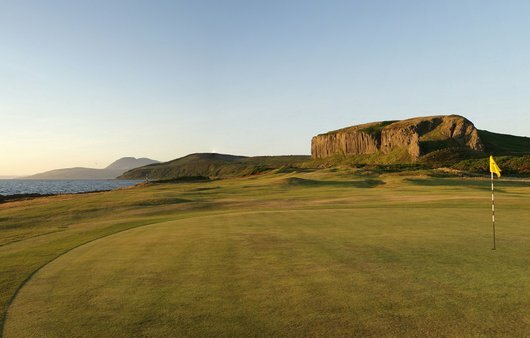 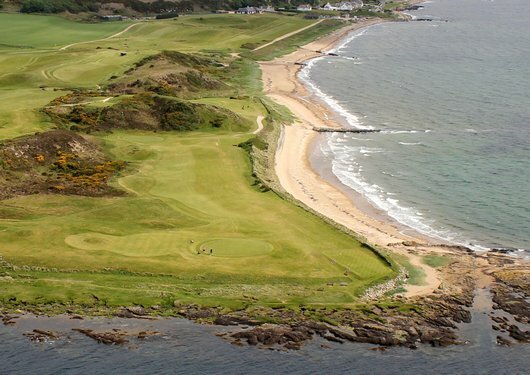 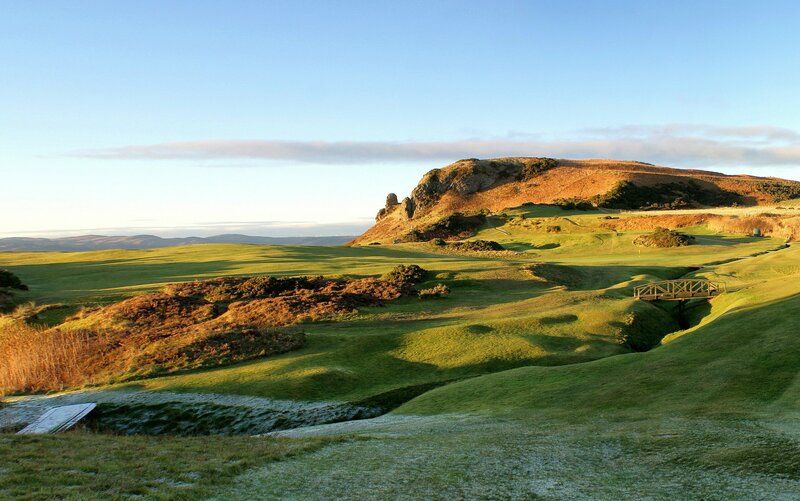 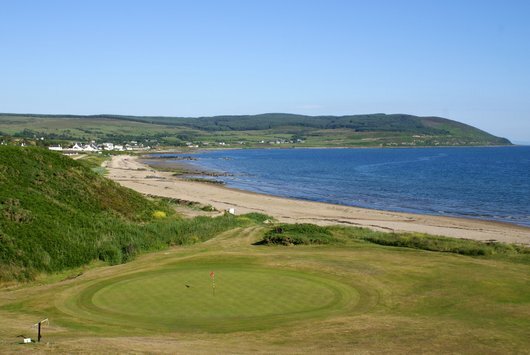 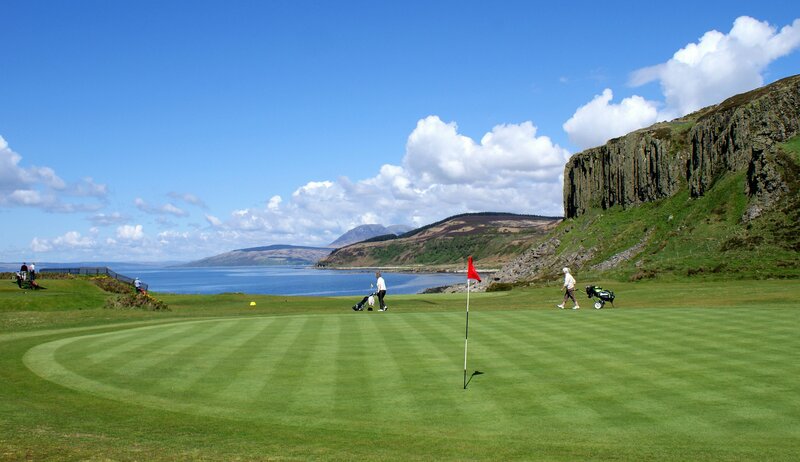 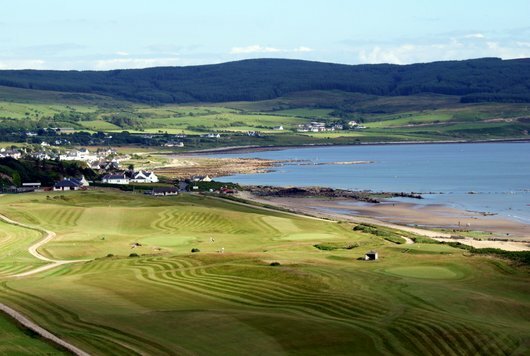 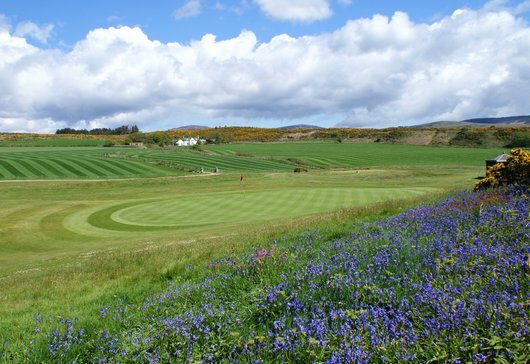 March - 3rd Hole (Crows Nest) at Shiskine Golf Club, Isle of Arran. 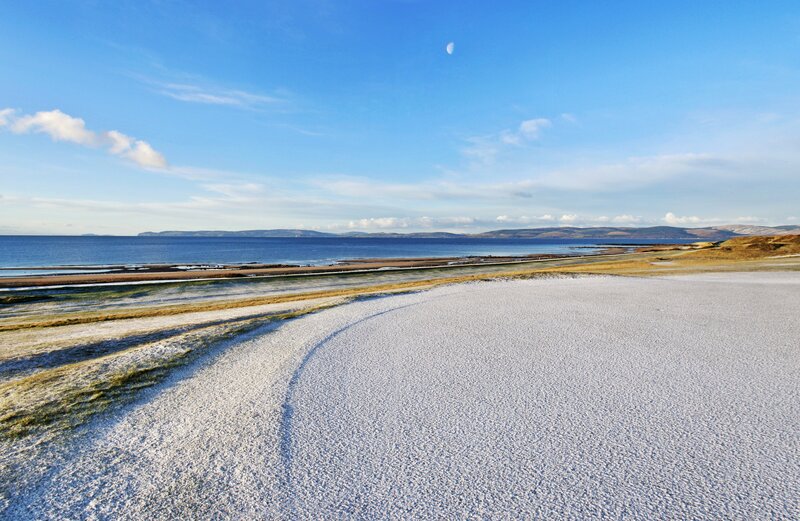 April - the 4th green in the distance, at Shiskine Golf Course. 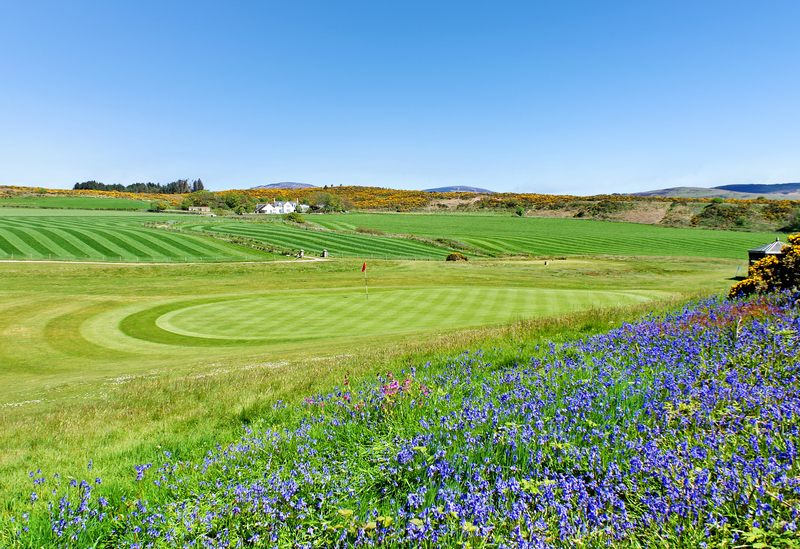 May - 5th green at Shiskine GTC. 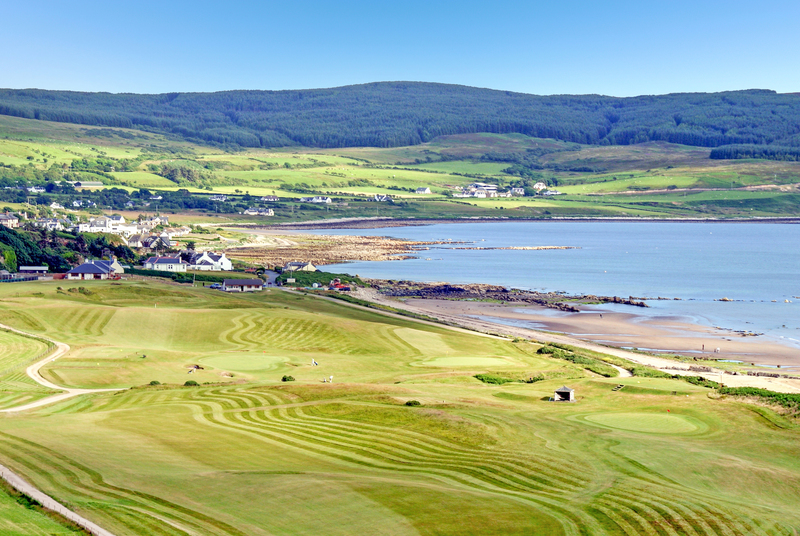 June - 6th hole at Shiskine GTC from the air. 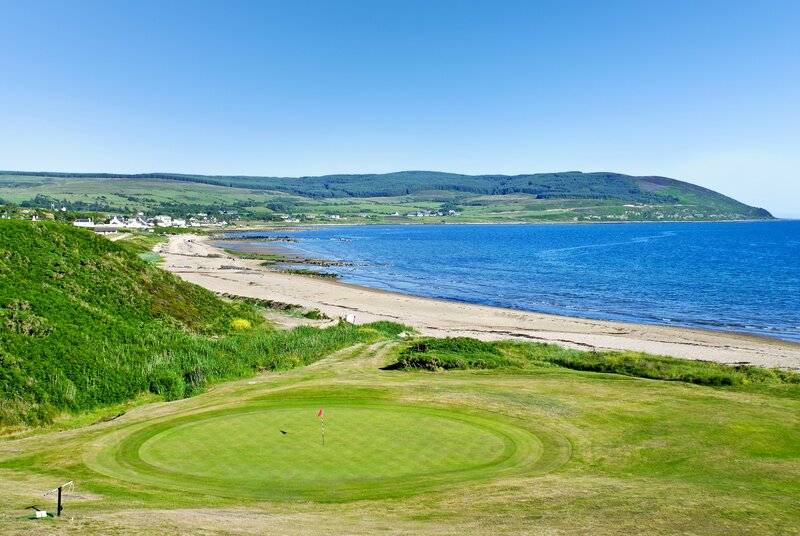 July - 7th green at Shiskine Golf & Tennis Club. 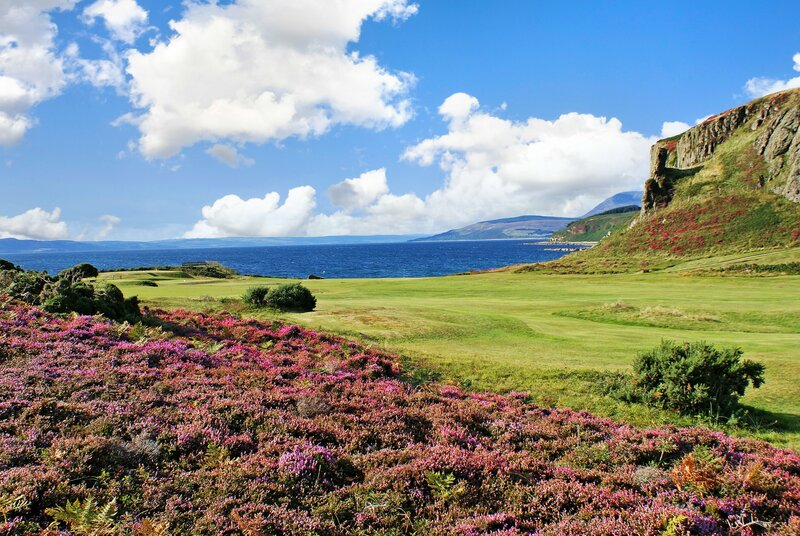 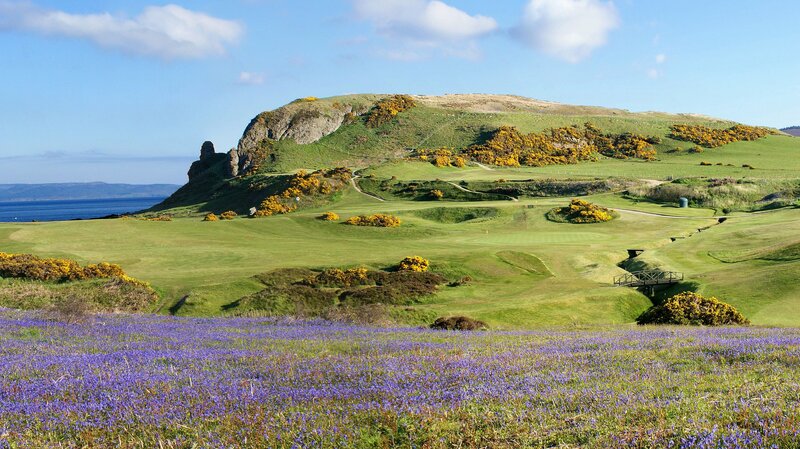 August - 8th hole (Hades) - Heather in full bloom. October - 10th Hole (Paradise) - Taken from the Doon. 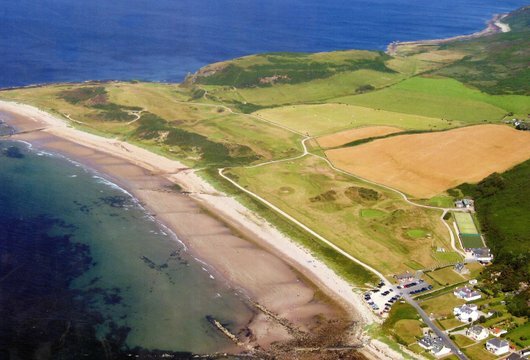 November - Shiskine Golf Course from the air. December - 12th green with Kintyre in the distance & Moon.